I have always enjoyed the Stanley books, and Miss Muffet does too. 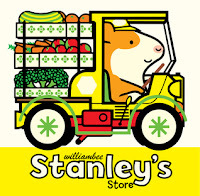 Our favorite character is Little Woo, a mole, who is the son of Stanley's friend Shamus. 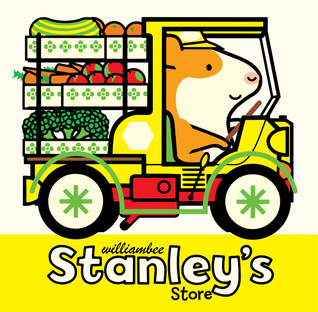 Stanley has a different occupation in each book. In the past, he has been a builder, a mechanic, a chef, a farmer, and a mailman. I'm looking forward to seeing how he does as a grocer! In 2013, I read a great short novel in verse called Gone Fishing, which introduced different poetic forms through a simple story about a family going on a fishing trip. I was really excited to learn that this sequel, Gone Camping, will be out this year. The concept is the same, only this time the kids are going camping with Grandpa. 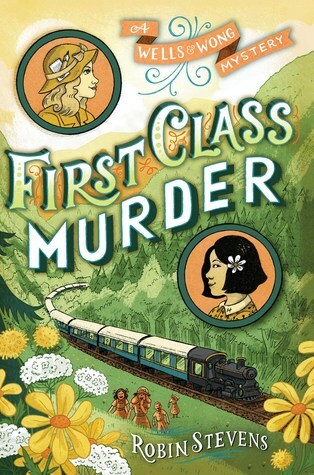 I love this UK series about 1930s school girls Daisy Wells and Hazel Wong who solve murders and other crimes together at their boarding school and elsewhere. This title was published in the UK in 2015, with the same title this time! I always like the UK titles better, so I hope they try keeping the same for future volumes too. Tricia Springstubb is my current favorite children's author. This is third book in the Cody series, and it promises to be every bit as wonderfully descriptive and entertaining as the first two. Andrea Cheng died in December 2015, which made me sad, because I love this series. Thankfully, though, she did finish some books prior to her passing, and we will be lucky enough to see The Year of the Garden, a prequel, published this spring. 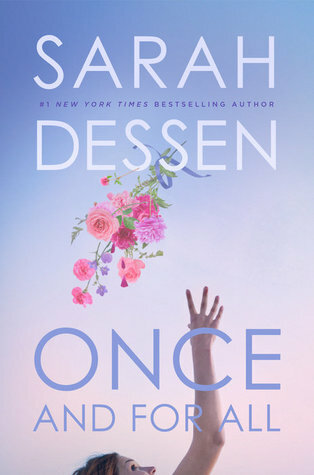 I have never missed a Sarah Dessen book, so of course I'll be reading this when it comes out! This time, the story is set in the world of wedding planning, and there is a character named Ambrose. It seems a little more like her older books and not as similar to her new ones, but that's okay with me. I'm looking forward to her thirteenth novel! 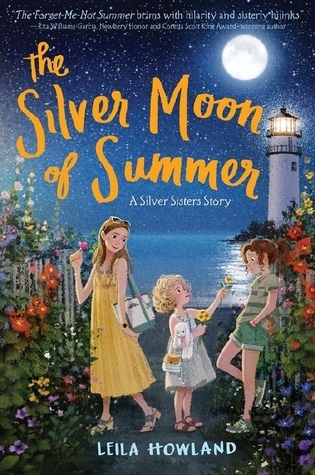 This is the third and last book in the wonderful Silver Sisters trilogy. I love Howland's writing. Her characters are just so real, and everything that happens to them rings true. Since I have a sister and I also have two girls, I think this series is particularly special for me. The books also have a great summer atmosphere that makes them wonderful to read pool-side. I'll be looking for this one to kick off my summer reading. This is the only book on the list that I know almost nothing about, but it has an appealing cover and a quirky premise involving a nun and a pig and a road trip and a convenience store hold-up, and I just feel very drawn to it. I figure it's good to take a chance on a debut author now and then! The last two on my list don't have definite publication dates, but 2017 is reportedly the year the last Penderwicks book will be published, and Sue Grafton has said that her Kinsey Millhone mystery for the letter Y will be out in the fall. (This last one is not a kids' book, and I'm not even caught up through X, but I'm anxious for the series to be finished so I can read straight through from V to the end.) 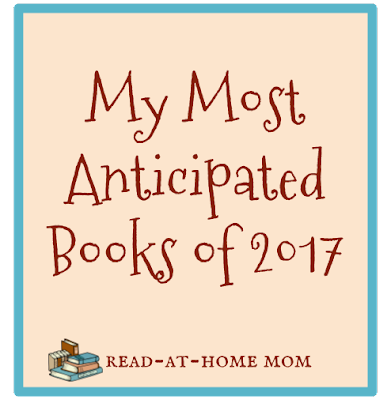 I hope both of these do actually materialize in 2017, but whenever they do come out, I'll definitely be reading! Thanks for the wonderful post, Katie! I'm thrilled to be on this list, and really hope you enjoy CODY #3!